Prices per night / room, including breakfast, service and taxes. This hotel is located very close to the Faculty of Economics (at most a 5 minute walk). There is a Metro station about 50 m from the hotel. The Metro train takes you directly to the center of the city and to the historical places (in about 3 minutes). There is a shopping center right below the hotel where you can find all sorts of services. Very Inexpensive. This hotel is located very close to FCP stadium. There is a Metro station (Dragão) about 3 minutes walking from the hotel. The Metro train takes you to the IBIS HOTEL station which is about 3 minutes walking from the Conference Venue (Faculdade de Economia). This hotel is located very close to downtown. There is a Metro station (Trindade) about 5 minutes walking from the hotel. The Metro train takes you directly to the IBIS HOTEL station which is about 3 minutes walking from the Conference Venue (Faculdade de Economia). 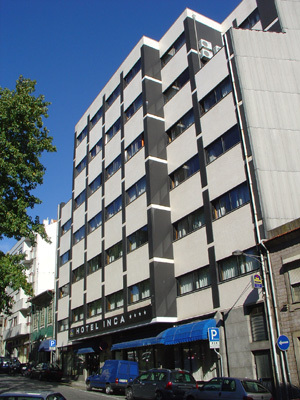 The Quality Inn Portus Cale is situated in the Boavista Avenue. Garage. 72 Rooms. 5 min. from the subway station: Casa da Musica. Located in the Boavista Avenue, this 5 star Hotel will be totally renovated by June 2005. Billiard room, night club and car parking. 232 Rooms. 5 min. from the Subway station: Francos. Located in Praça da Ribeira, right in the historical centre of Porto, and set on the city`s medieval wall. 48 Rooms. Located in the Boavista area. Recently inaugurated (summer of 2003) it is a new hotel concept in the city. Marble, wood, steel and glass are harmoniously combined in the different spaces. Garden, spa and car parking. 266 Rooms. You can go up or down the river and complete your journey by bus or by train, either up or down. 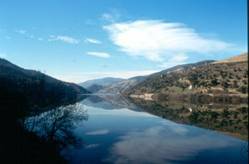 Enter an unforgettable boat trip and discover one Portugal´s most beautiful landscapes, through the Douro valley, the first demarcated wine region in the world. Living museum relating nine centuries of history throughout verdant hills and valleys where the memory of traditional usages is kept alive. 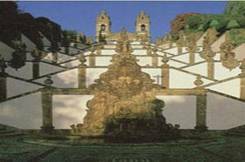 Guimarães was classified as World Heritage by Unesco. 8 a.m. | 9 a.m. Truly appreciate the beauty of Porto during an unforgettable helicopter tour. Come and get a spectacular aerial view of the Invicta city!